I am loving the ’80s and ’90s inspired fashion at the moment. 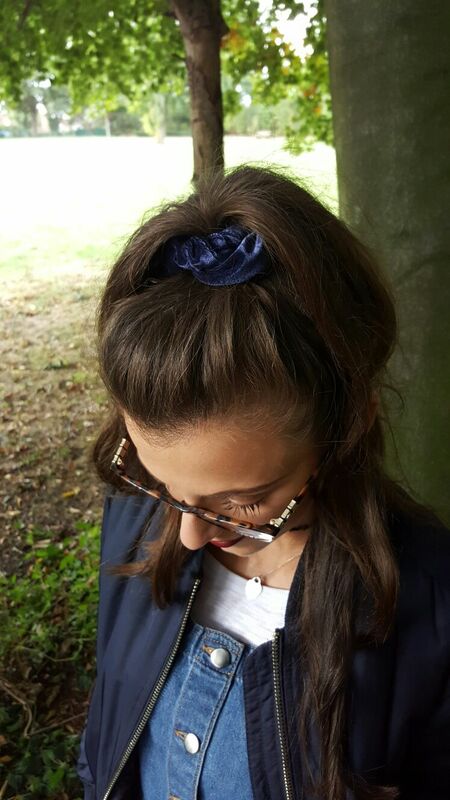 Hair scrunchies and pinafore dresses are a huge throwback to be a child in the ’90s and I love it! These are my fav fashion throwbacks! Think 11 year old Natalie Portman in Leon (if you haven’t seen it watch it!). She is ROCKING the bomber jacket and choker look! 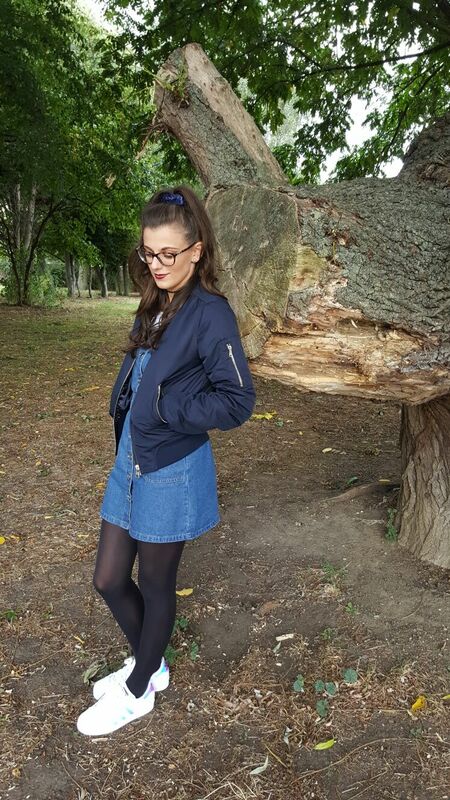 There are bomber jackets everywhere at the moment, but I got mine from Topshop where they are currently on promotion! Also if you’re a student you get discount on top of that! GO! This look is still as cute as it was in 1996! I love the denim dresses as I think they go with everything! They look great with a stripy t-shirt, a rollneck jumper… a wardrobe staple this autumn! 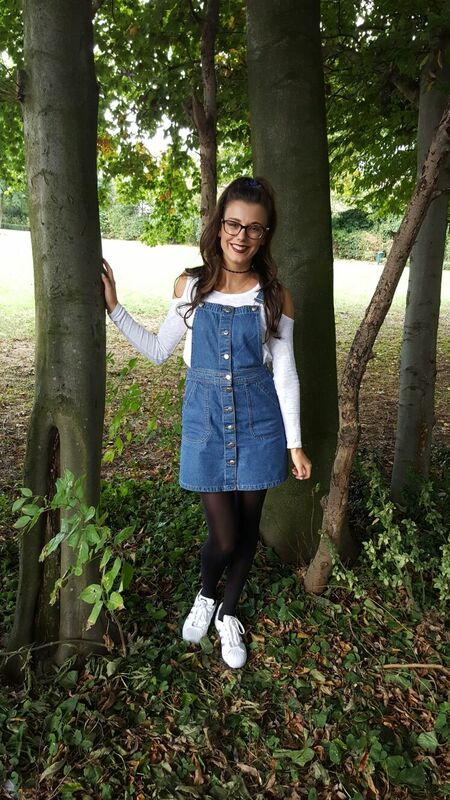 H&M have a super cute denim dungaree dress for only £24.99! They do come up quite small so I would recommend getting at least a size up. 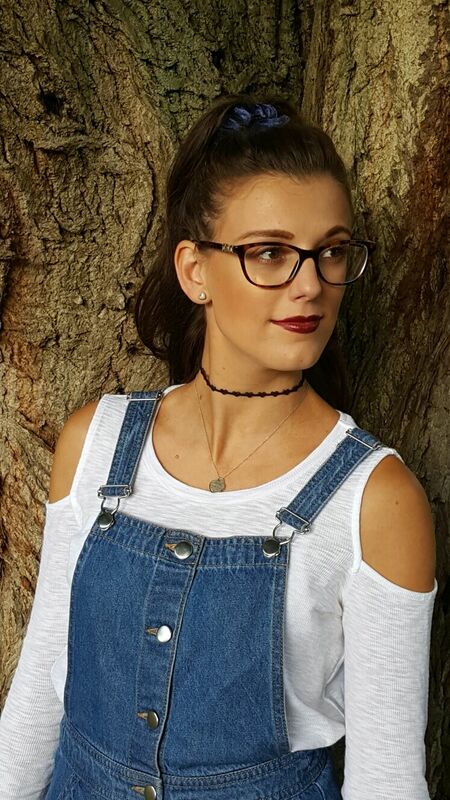 Chokers are always a great accessory to give an outfit a rock chick edge! They are everywhere at the moment, and I am developing quite the collection! 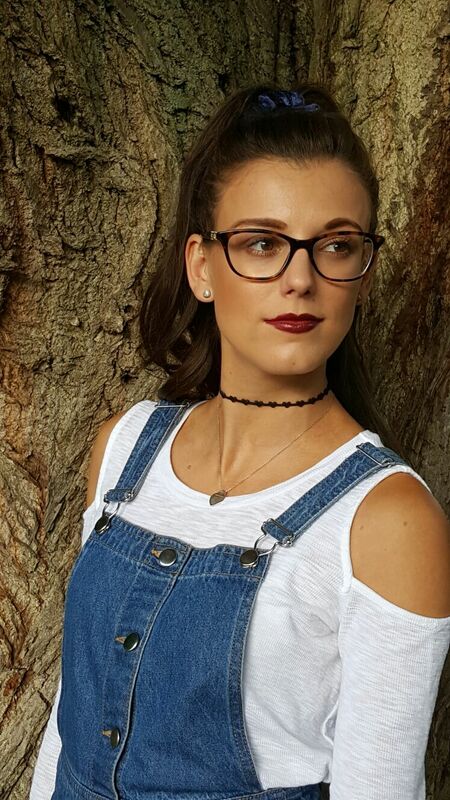 I would definitely suggest checking out Accessorize as you can get two different chokers for £8. As a child I used to envy other children in their headbands with their names on (anyone with an unusual name will feel me here!) and their thick scrunchies. So when I saw a selection of scrunchies by the till at H&M I was taken back to 1999! I could’t find the price online but I think they were around £2.99 for either 2 or 3 depending on which colours you go for. Loving them with the half up/half down hair look! 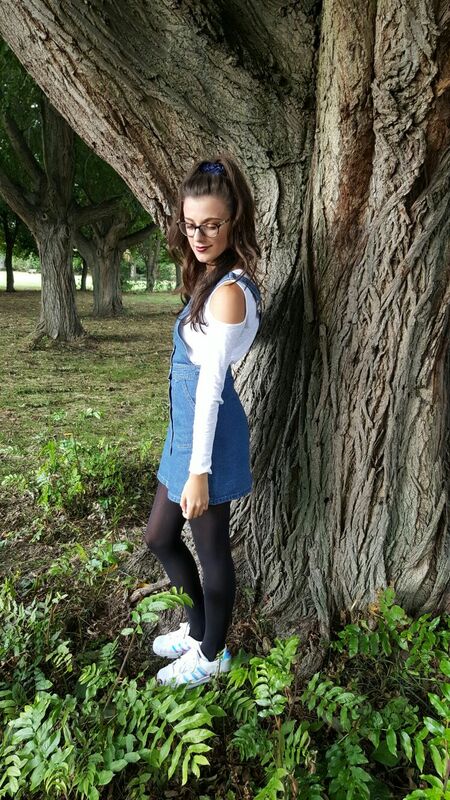 Hope you enjoyed reading my throwback fashion favourites! Next Post My go-to make-up!